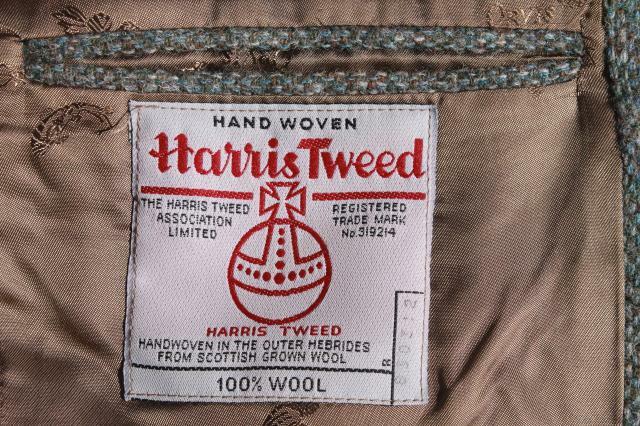 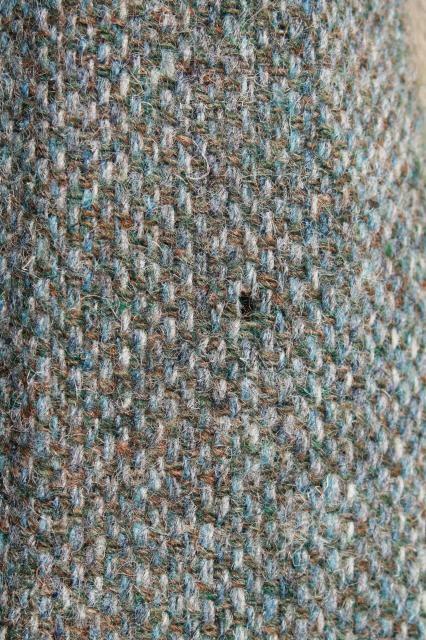 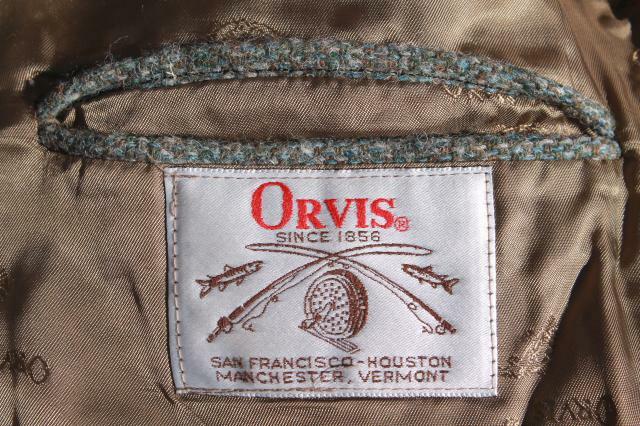 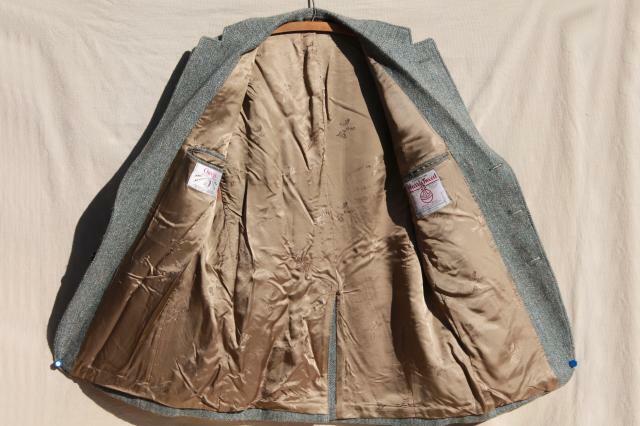 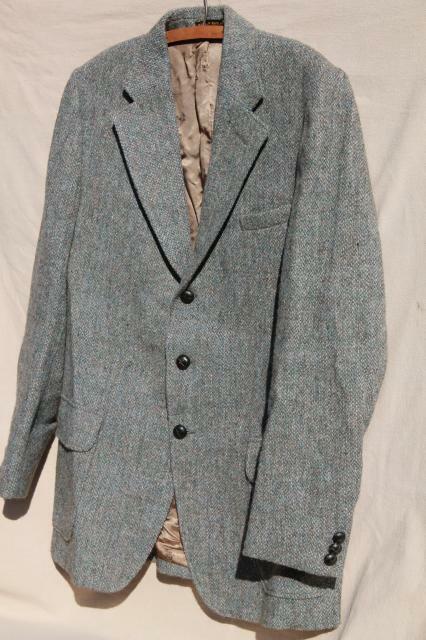 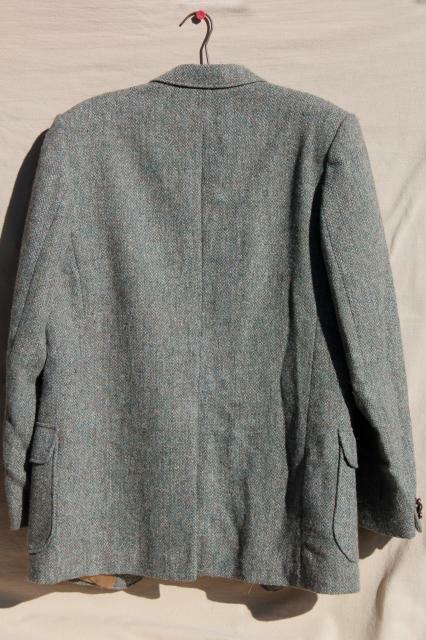 Grey Harris tweed jacket, made in England, label from Orvis. 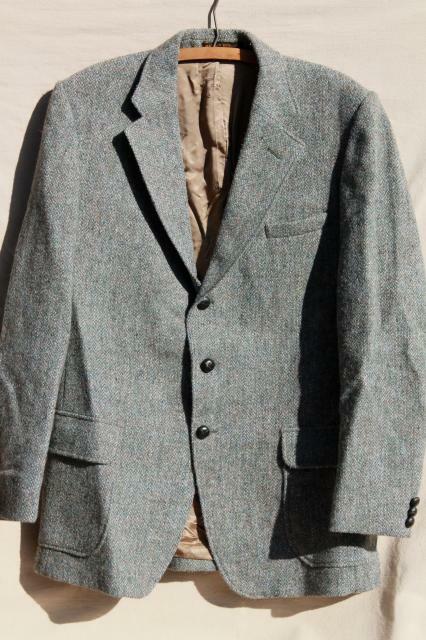 This is a used, vintage piece in good clean condition overall - not perfect but nice. 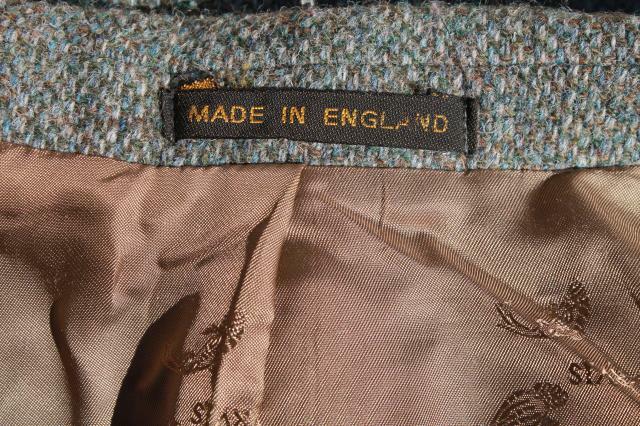 We didn't see much wear to the fabric and found only a few tiny moth holes (not at all visible without careful inspection). 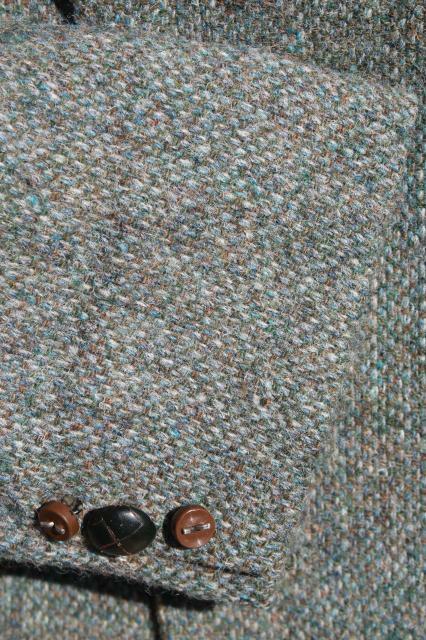 One front button is missing, a couple of cuff buttons are broken. 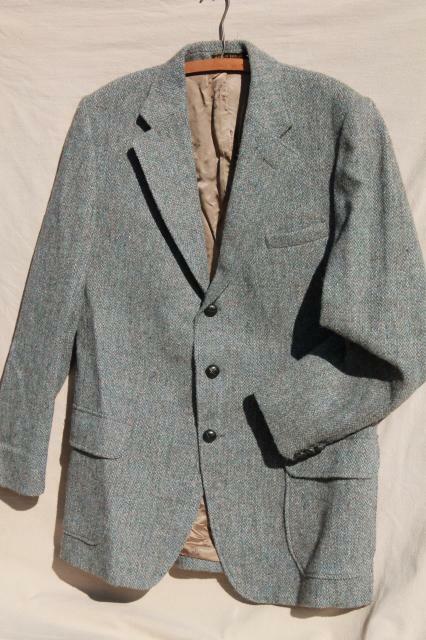 We can't find a size label on this piece, but the actual garment measurements are 44" chest, 18" across the back of the shoulders, 31" long from the shoulder, sleeve length 17 3/4" under the arms.